Founded in North Dakota in 1991, The GOD’S CHILD Project is perhaps best known for its 25 years of international work caring for and educating orphaned and abandoned children. Less well publicized is the Project’s extensive use of experience, volunteers, and program infrastructure to help local communities across the USA, and particularly in the Upper Midwest. Community-driven donated clothing and household goods drives provided the Bismarck office of The GOD’S CHILD Project with hundreds of thousands of pounds of personal and family supplies that the Project sorted, repaired, and redistributed to assist lower-income populations across the Midwest; distributing $950,000 worth of donated supplies to needy school children and families in the Bismarck area just during 2015 alone. 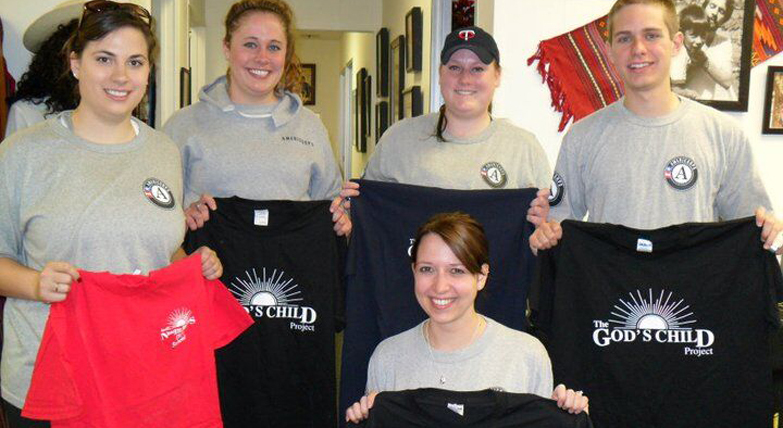 The GOD’S CHILD Project has continued to recruit, train and mobilize community engagement volunteers in regions across the nation, most notably on the nation’s Native American Indian Reservations, in isolated rural areas, and economically-depressed urban areas. In addition to the collection and redistribution of clothing, school supplies, and household goods, GOD’S CHILD Project volunteers organize home repair efforts for low-income elderly and shut-ins, and multi-media child and teenager safety, anti-bullying, and human trafficking prevention and detection campaigns. Mr. Atkinson makes in excess of 150 presentations to school, interdenominational church, and community groups each year. Community engagement volunteers also mobilize support, organization, and donated supplies for local communities affected by natural disaster.